You look as pretty as a pig! This might not strike you as a great compliment, but for a little girl who loves watching Peppa Pig on Nick Jr., hearing that compliment is like music to their ears. 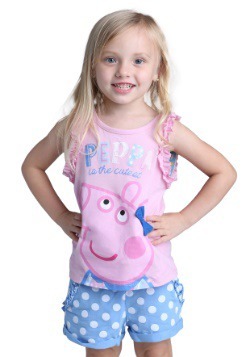 Peppa Pig is like the cool "It" girl to young darlings who watch her show religiously. The little pink pig wears dresses and fixes a flower in her hair and overall seems like a great friend to have. She's always doing something, whether it's coaxing her younger brother, George, to stop crying or riding bikes down to the pond with Tiddles the tortoise and Polly Parrot. 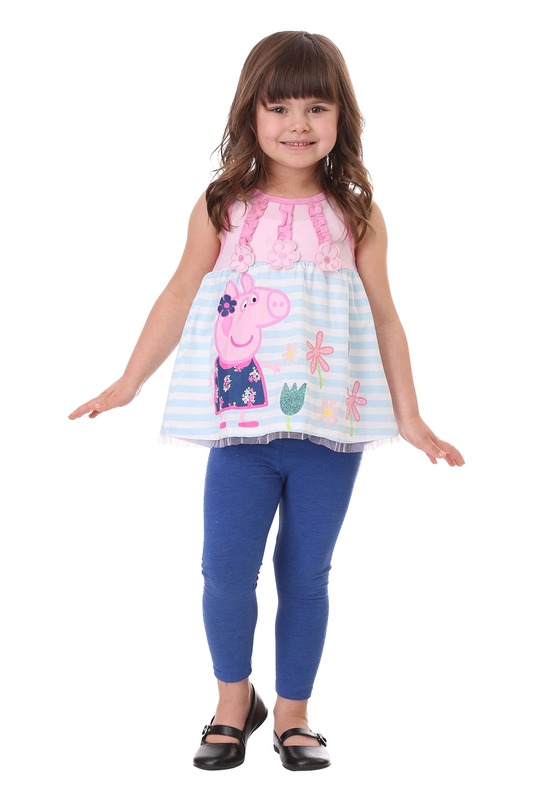 If your little girl is just as active as the popular cartoon pig, she's going to need lots of apparel to support her energetic and very busy lifestyle. 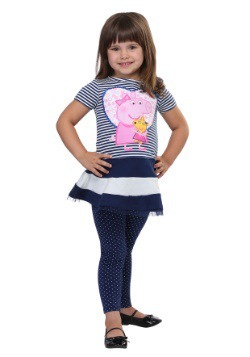 This tank and leggings set is perfect to wear when she's moving a mile a minute. 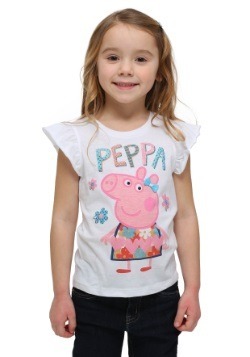 Adorned with appliqued flowers, glittery accents, and an image of Peppa, this tank is laid-back enough to wear to playdates at the park or appropriate enough to wear to school functions. Pairing the tank with the included elastic waist leggings makes it a comfortable and adorable complete ensemble. 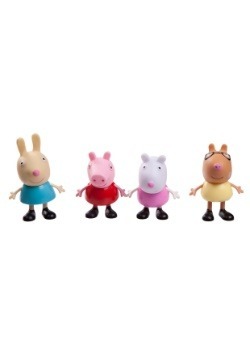 She'll love feeling like Peppa is right there playing with her while she's outside enjoying the freedom of being a kid. 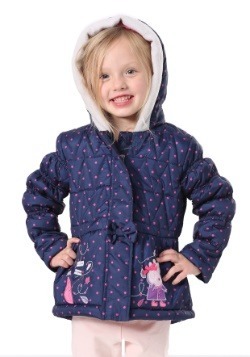 2T - $24.99 3T - $24.99 Only 8 left! 4T - $24.99 5T - $24.99 Only 1 left!